If Stacey Abrams wins Georgia’s gubernatorial race this coming November, she will be the first Black woman to ever become governor in the United States. Period. But despite being a Black woman herself, Abrams is not taking the Black female vote for granted just because she may remind many of us of our aunts, sisters, nieces. She has been firm and consistent in her message from the jump, detailing plans to address health care and education, issues that she knows are important to Black women. 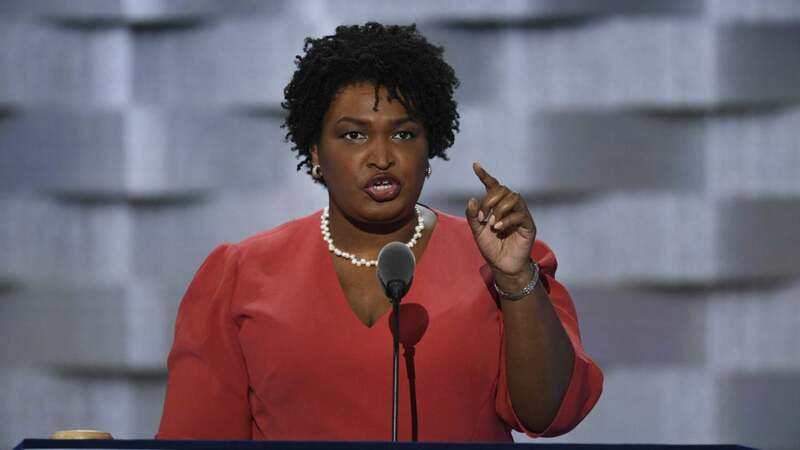 “We are leveraging the enthusiasm and support of the African-American women’s community to motivate and galvanize the communities that they touch — and that means every community in the state of Georgia,” Abrams told The Atlanta Journal-Constitution. And it is a level of outreach that has not gone unnoticed. Paula Benton, a resident of Stone Mountain, said that she is happy that Abrams is actively targeting black women. And there is a lot of truth in that. In fact, it was so much of a present theme throughout many of the panels and discussions at the Congressional Black Caucus’ 48th annual conference, that it felt like the theme should have been more of a “Listen to Black women” instead of the chosen “The Dream Still Demands,”…that being said, the dream still demands that we listen to and respect black women. Of course, not all Black women are considering voting for Abrams (because we are not monolith.) Vivian Childs, a minister from Warner Robbins, has already decided that she’s backing Republican Secretary of State Brian Kemp. However, there are many Black women who disagreed, pointing at troubles with access to health care and early childhood education, as reasons why things have got to change. But, still, Black women typically vote for Democrats, and Abrams is hoping to get even more Black women out to the polls in November, to build a strong and secure support base.